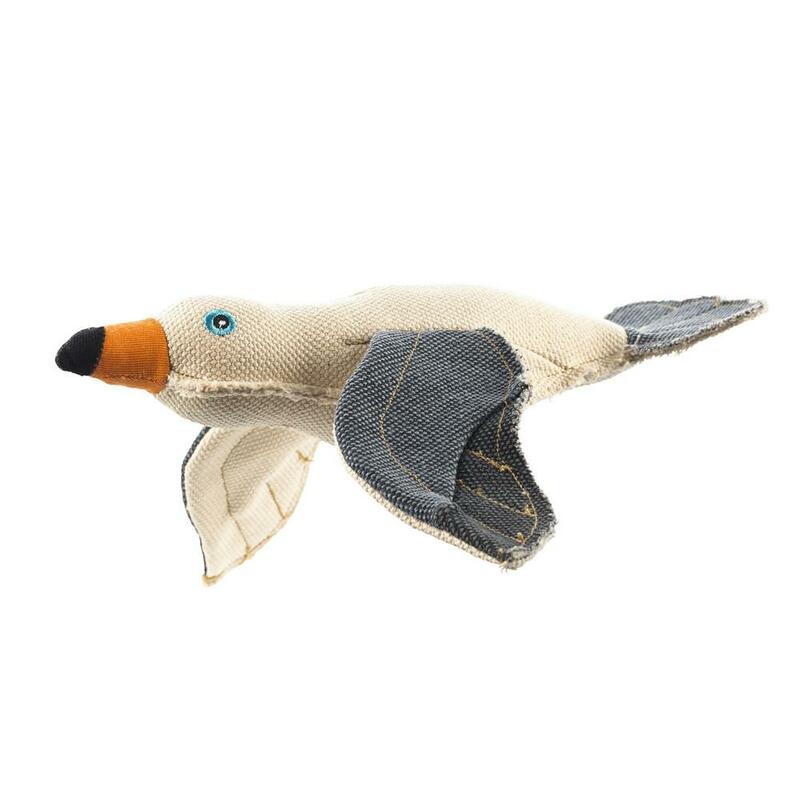 -- Select a Size -- One Size - 12"
Dogs will naturally have a good time with this quality Canvas Maritime Sea Gull Dog Toy by HUNTER®. This Canvas Maritime Sea Gull Dog Toy by HUNTER® Germany is a quality product designed to give pleasure to dogs and people. The extended wings provide an easy handle for dogs. The durable cotton canvas material provides a gentle abrasive cleaning action for your dog's teeth while the squeaker gives your pup playing satisfaction. HUNTER is a family-owned company that prides itself in hand-crafted quality pet products since 1980. CE Euro Tested and Certified: Safe for babies and safe for pets. Nontoxic, flame resistant. Not available for sale outside of the United States. I love BaxterBoo. Great merchandise, fair prices, awesome sales, quick shipping, what's not to love?